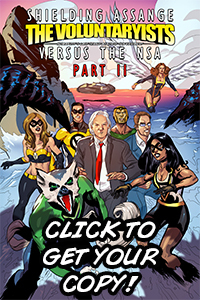 PUBLIC RELEASE OF THE DIGITAL COMIC – PRINT COPIES AVAILABLE FOR PURCHASE! 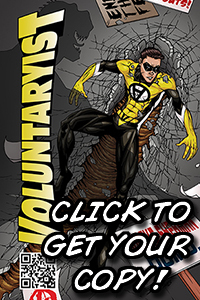 The FREE DIGITAL COPY of Voluntaryist – Issue No. 1 is FINALLY AVAILABLE! 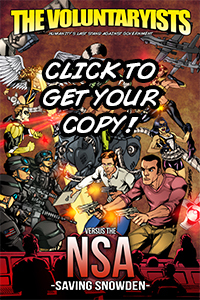 Click HERE to get your copy and share it with friends! 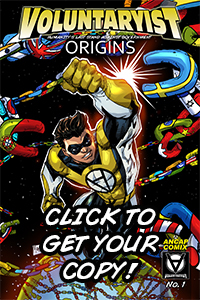 To purchase a hard copy, please click HERE to go to the Indyplanet purchasing page. Let me know what you think on Facebook and Youtube and share it with friends! Thank you so much again every one for your support. 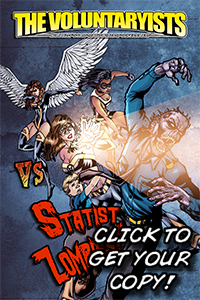 I am looking forward to working on the next issue and spreading the message of liberty into new venues with you!